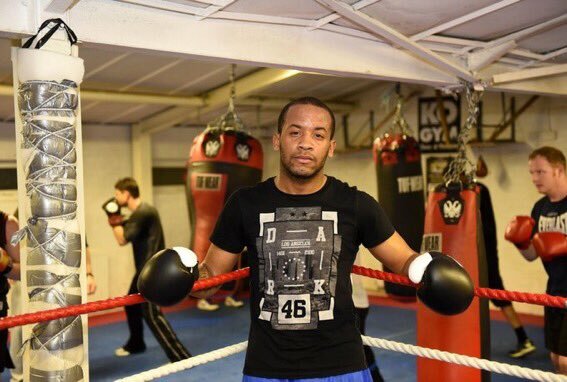 Middleweight prospect Josh Adewale says he is ready to put on a show as he prepares to make his professional boxing debut this weekend at York Hall. Having signed with MTK Global after impressing in the Haringey Box Cup, the youngster can boast being part of a stable alongside the likes of Tyson Fury and Carl Frampton at the moment. The 24-year-old takes on Bryn Wain across four rounds in a card that sees Sunny Edwards up against Ryan Farrag in the headline event. The MTK London show will be broadcast live on BoxNation, however the event isn’t adding any extra pressure for the naturally confident Adewale. “The hard work is done, it’s been a long time coming but I am fully focused for Friday night now,” he said. “I can’t wait to get in there, I’m not going to go in there wild and swinging. I expect to be calm and calculated. “I have sparred some of the best young pros in the build-up to this fight so my preparation has been perfect. “If the knockout comes, then so be it, but I am not the type of fighter to go in there looking for it and getting caught.